The Providence Children&apos;s Film Festival returns this February for its sixth exciting year. Showcasing 18 feature films - including both a USA and a Rhode Island premiere - as well as more than 50 shorts from around the world, the Film Festival takes place from February 12-22, which is perfect for school vacation fun. The Providence Children&apos;s Film Festival presents the highest quality independent films for ages 3-18, but are sure to appeal to all audiences with compelling stories and worldwide adventures. 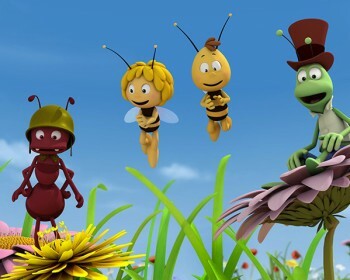 MAYA THE BEE: Maya is a little bee with a big heart. For a hive to exist there are rules that must be followed. Let&apos;s just say, Maya&apos;s curiosity does not help her remember the rules. She can&apos;t help but make friends with other bugs in the meadow including the most threatening bugs of all - HORNETS! When the royal jelly goes missing, Maya&apos;s "flaws" help save the hive. Part musical, part comedy, part suspense film, MAYA THE BEE has it all. PATEMA INVERTED: Patema is a precocious teen who loves to explore the caverns and tunnels of her subterranean world until she falls into the danger zone. In her inverted gravity world, she falls upwards to the Earth&apos;s surface and risks falling into the sky. Saved by an equally rebellious young man who is charmed by this upside-down girl, they fight to save her from the totalitarian surface government that seeks to annihilate her subterranean civilization and the freethinking people they represent. A dizzying, suspenseful animé. 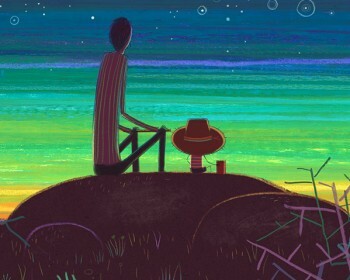 THE BOY AND THE WORLD: This wordless, evocative, uniquely original animated film follows Cuca, a young Brazilian boy who ventures from his simple countryside home into a neon-infused, carnivalesque metropolis in search of his father. It&apos;s an audio/visual feast. When the credits roll there is a good chance your interpretation of the film might vary from others-but what a ride! ON THE WAY TO SCHOOL: Many films have been made about kids going to extraordinary lengths to avoid school. This stunningly shot documentary (Cesar Award Winner 2014) captures the stories of four children (from Kenya, Patagonia, Morocco and India) and their herculean efforts to get TO school. Instinctively, they know their well-being, and in many ways survival, depend on knowledge and education. For all show times, locations, and titles, visit the Film Festival website.